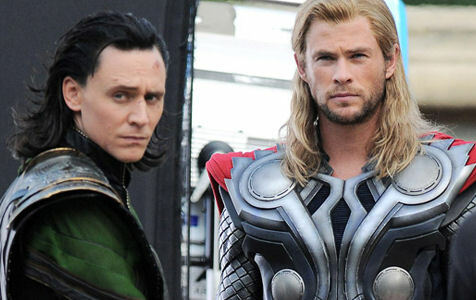 Loki&Thor. AWW isn't Loki cute?. Wallpaper and background images in the Loki (Thor 2011) club tagged: loki. This Loki (Thor 2011) photo might contain pectoral, égide, egis, pectorale, and cuirasse. I love Loki's expression and hair it's gorgeous!